Alpaca knitwear, jumpers, hats, beanies, gloves, scarves, sweaters, ponchos, legwarmers, socks, hand knitted, pure alpaca wool. The aim of Mamacha is to offer a range of beautifully designed, high quality alpaca knitwear which provides reliable employment to women living in impoverished parts of Peru. We believe the most sustainable solution to poverty is to give marginalised people the tools and resources to help themselves. We recognise their desire to work and use their skills to support themselves and their families, rather than having to rely on donations. We don't simply buy from established co-operatives or factories, instead we invest time working with groups who need help to develop their skills and their products and who would otherwise be unable to find a market for their work. Our knitters are paid a good wage, the price being determined by the groups themselves, taking into consideration how long items have taken to make and the skills involved. We never drive prices down, in fact production costs tend to increase year on year. We also ensure prompt payment to our producers and pre-payment to purchase raw materials when necessary. We endeavour to order products year round, providing steady employment for the women, rather than alternating periods of intense work with periods of no work. This means stocking some products out of season, but also means that we always have a steady supply of new garments coming in. Each group specialises in certain products from our range, so our orders are spread as evenly as possible between all the women. As well as becoming financially more stable, the women also benefit immensely from a renewed sense of self esteem and purpose. They form friendships within their group and for many women it becomes an important support network. Many women report feeling more empowered and gaining more respect from their families. The women are so proud their work is being sold abroad, and by writing the name of the knitter on the tag of each hand knitted product, we encourage this sense of pride. Approximately eighty women in Peru now rely on our sales for their income. We are therefore committed to selling enough of their products each month, in order to ensure ongoing work for them all. We have a loyal customer following and see many customers return to buy multiples of their favourite garment (especially the jumpers! ), once they have experienced the quality and the long lasting wear of alpaca. Over 1700 customers subscribe to receive our newsletter with product updates and approximately 3,000 customers buy from us each year. New products are often the result of customer feedback. 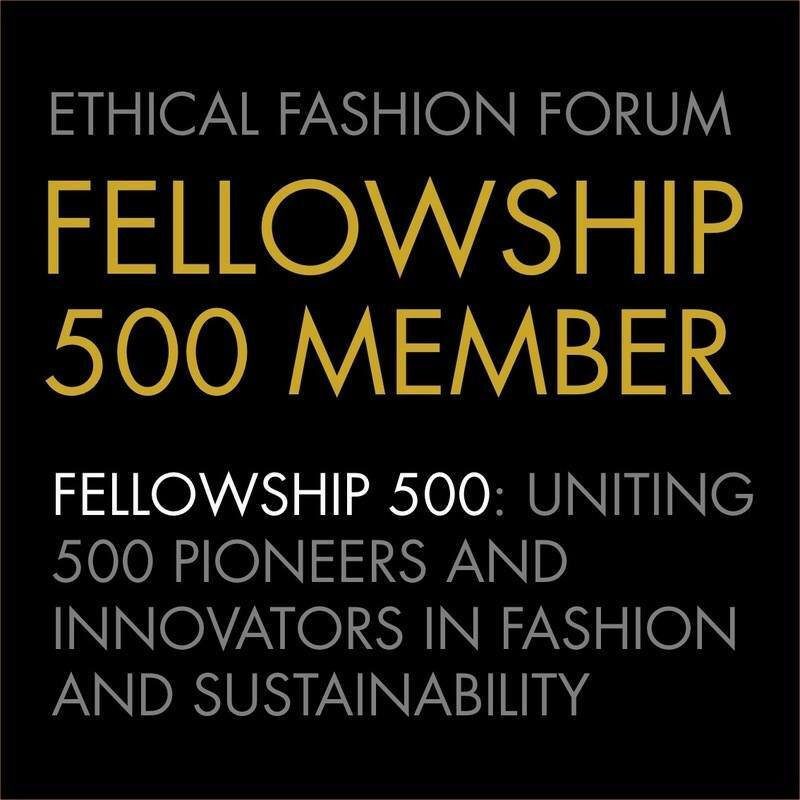 Mamacha is a member of the Ethical Fashion Forum.